. يعمل Tanoa Tusitala Hotel على ضمان إقامة مريحة لضيوفه من خلال خدماته الممتازة وحسن ضيافته. لضمان راحة ضيوفه، يقدم الفندق الخدمات التالية: خدمة الغرف على مدار الساعة, مكتب الاستقبال على مدار الساعة, تخزين الأمتعة, واي فاي في المناطق العامة, صف السيارات . يمكن للنزلاء الاختيار من ضمن مجموعة من الغرف المصممة بعناية لتعكس جواً من الراحة، والتي يتجاوز عددها 95. يمكنك الاستمتاع بالأجواء المريحة التي تقدمها حمام سباحة خارجي, ملعب للأطفال, مسبح (للأطفال), ملعب تنس, حديقة طوال النهار. استمتع بخدمات لا يعلى عليها وعنوان ذو اعتبار في Tanoa Tusitala Hotel . Very disorganised,asked for safe to be opened 4 times, someone will be right there, they said and nobody ever came. Chewed up orange pulp or something on the stairs outside room 125 plus other bits and they remained there for 3 days. Better to take a taxi to the airport as the seats are not broken in the taxi and it was only$3.5 more than a no maintenance bus. Staff are friendly , room good, management needs a rocket. A group of 6 of us booked 3 rooms at Tanoa Tusitala in Apia for 2 nights so we can have a place to stay while we explore the town of Apia. The market and a park is within walking distance. The pool was under construction but they offered each of us in our group a $40 voucher for a meal, drink and a swim at Taumeasina Island Resort. That made up for the pool and we appreciated it very much. You can get 1 voucher a day per guest. I stayed in a two double bed room on the bottom floor. The room and bathroom was clean. The sheets and bedding felt a little wet and the room smelled like wet clothes. The bathroom was nice and roomy but the door was broken. Tanoa Tusitala had the best complimentary breakfast. The selection and quality of the breakfast was great. Their dinners were very delicious as well. The Pina Colada mocktail was not very good, but the Taro Chips were amazing! You need to try them. I think they have the best Taro Chips on island. 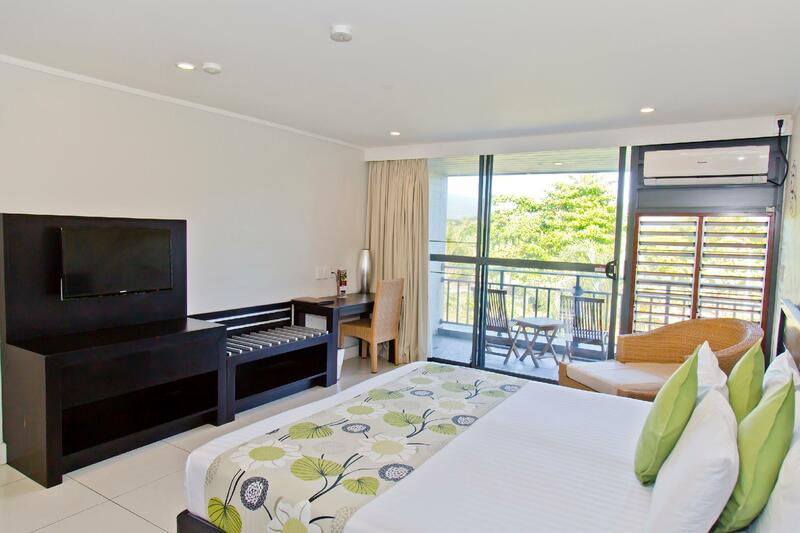 I enjoyed staying at Tanoa Tusitala. Just a really nice place to stay , in walking distance of town markets harbour and the staff are consistently lovely. Loved our stay here. Staff were so nice and friendly. They go out of their way to make your stay special and are super helpful. Location is very central so easy to taxi around town and park and playground across the road were great for the kids. Facilities were ok, pool was nice but quite cloudy and in need of a clean. Tennis courts desperately in need of maintenance. You have to pay to use washing machine and dryer, although dryer only goes for 30mins which was not enough time to dry clothes. Awesome breakfast which was included in the price. Restaurant had good kids meal options. Rooms nice and roomy. Outside the back still had ash and cigarette butts from previous guest. Also other thing that was a bit annoying is workers(?) walking through our back area so no privacy. Aircon nice and cold and wifi and cable tv worked fine. Overall we had a great time and would definitely recommend this hotel to anyone. The hotel is close to town and transport. I loved the beautiful gardens and surroundings all perfectly kept. The breakfast was more than adequate serving fresh fruit , eggs, cereal , toast and bacon ,beans and pancakes . The breakfast staff worked hard to ensure everything is perfect. Our room was clean and plenty of space to move around . The staff throughout the hotel are great and nothing is a problem.. Only downside is there is not enough shade around the pool. Maybe a few more sun umbrellas would help. 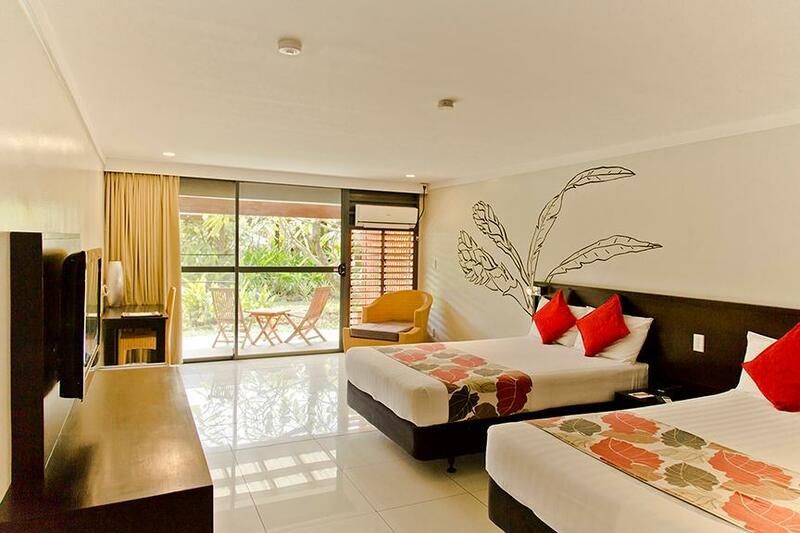 Will be staying here on our next visit to Apia. nice rooms. clean & new. staff are proffesionals... will stay here again.. I have stayed at Tanoa in the past when I thought it was at its best and years to follow ... at its worst. This is my first time back since the re-vamp and what a pleasant surprise. Simple but great. Well on their way back to being at its best. The staff really made it for us, they are amazing and were always willing to go out of their way. Made for an awesome 5 days. Loved the room although it wasn't serviced daily. Bar and good staff were very friendly. Well located in the middle of town. Includes all you could expect from a town resort including friendly staff and a good pool. Stood at reception to be served. Phone rang & receptionist cut short the phone call stating she was busy. Fairly typical Pacific Island hotel. Friendly staff, if not a little forgetful! Location is good for a stroll into the town, which is ideal as you'll probably want to eat elsewhere. Standard of food, while edible, was probably the weak point. In the absence of Aggie Greys Hotel in Apia, Tanoa was the only other choice. The rooms were clean and the food served at the Hotel standard. The staff were intolerable - unprofessional from check-in to check-out - they were inattentive to guests, lacked cleanliness, was solicited by wait staff for cigarettes and money - mainly because I spoke Samoan!I felt intimidated at the hotel and in Apia when I was accosted by hotel staff at a cafe for money so that they could buy alcohol for themsleves! i would have hotel staff ring my room offering free hotel food if i would give them money or even some of my clothes - it was criminal!I could not wait to leave! 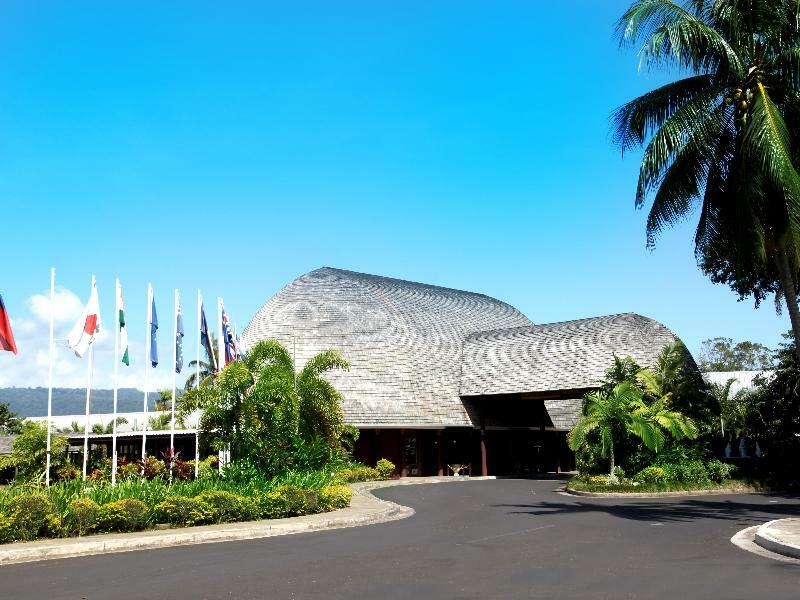 Beware of the deceitful scams being run out of this hotel!It is a blight on Samoa and Samoa is preparing to host a UN conference in a few days. People beware! Staff were friendly, if not a bit slow. our arranged hotel transfer from the airport, left without us and so we had to catch a taxi and pay more which was disappointing. they seemed uncertain on the paperwork from agoda as well. The buffet breakfast was expensive compared to other places in Samoa.